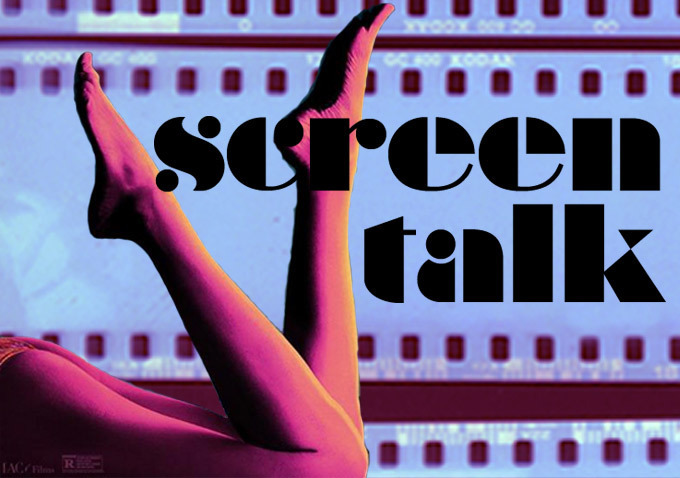 Co-hosted by Indiewire Deputy Editor and Chief Film Critic Eric Kohn and Thompson on Hollywood Editor-in-Chief Anne Thompson, “Screen Talk” is a weekly podcast that covers the intersection of the independent and studio film worlds. Along with The Playlist and Woman and Hollywood podcast programs, “Screen Talk” represents a small fraction of the critical conversations currently taking place across the film podcast community — just a few weeks ago, former Indiewire editors Brian Brooks and Eugene Hernandez launched another excellent addition to the practice with the Film Society of Lincoln Center’s “Close Up.” And there are certainly many more that will follow in the coming year. All this activity is why we’ve decided to spotlight other programs that cover similar topics from a slightly, or perhaps even entirely different point-of-view. The following list of film podcasts is organized alphabetically. It is not ranked — we’ll leave that part up to you. The strength in Masters’ show lies in the consistency of its format. Each episode starts off with a brief news overview. Masters is joined by another high-profile entertainment journalist — usually Executive Editor Matt Bellami of The Hollywood Reporter or Executive Editor Michael Schneider of TV Guide — and together they break down major entertainment business developments that occurred over the past week. Business highlights are followed by one, or sometimes even two in-depth interviews with filmmakers and/or other industry luminaries. While Masters’ analytical approach certainly bears a striking resemblance to the coverage found in the Hollywood trade publications, “The Business” is careful to get bogged down in industry jargon. Tobias is equal parts academic cinephile and insatiable fanboy — he uses his encyclopedic knowledge of film history as the framework for understanding how new independent and blockbuster releases fit into a particular filmmaker’s oeuvre and/or the larger cinema landscape. The textual specificity that characterizes most of “The Dissolve” podcast discussions — which would seemingly render it more appealing to seasoned cinephiles rather than amateurs — carves out a point-of-entry for anyone, irrespective of their level of experience. Although the business of entertainment is certainly a component of the conversations that occur on the podcast, it plays a much more abstract, conceptual role for Tobias and The Dissolve writers who join him on the podcast each week. In the case of the most recent episode, “The 3,000 Fathers of Tarantino,” Tobias and his co-hosts approach the business of the blockbuster and summer box office from a distinctly sociocultural perspective. Kempenaar and Larsen’s thoughtful and instructive Top 5 lists for “Filmspotting” — which are usually, if not always, tied to the title they are reviewing in the same episode — tease out the cinematic context and/or precedent for a particular theme, genre or aesthetic convention. The Top 5 lists challenge listeners to understand film not just in terms of genre and filmmaker, but also form. Furthermore, the films included on the each list provide listeners with countless opportunities to dig further into a topic or alternative point-of-view. Similar to Kempenaar and Larsen, “Filmspotting SVU” co-hosts Singer and (Former Indiewire TV editor) Willmore spend considerable energy building a rich context around the films they review on their podcast, which focuses, for the most part, on new and classic high-profile films currently available to view on VOD and digital platforms. Not only does “Filmspotting SVU” provide listeners with regular access to a film education, but it also assists listeners with curating their queue of films — a task that is becoming increasingly difficult as more and more titles become available on VOD and digital platforms. Schartoff is on the front lines of the independent film scene in “Filmwax Radio,” documenting the evolution of the craft and the industry via interviews of both new and established talent. Just last month he spoke with legendary documentary Frederick Wiseman, who, at the age of 84, just released “National Gallery.” The week following his interview with Wiseman, Schartoff spoke with actress/director Josephine Decker, whose films “Butter on the Latch” and “Thou Wast Mild and Lovely,” have established her reputation as one of independent cinema’s most exciting new voices. Schartoff’s propensity to understand progress as the function of looking not only forward, but also back in time, allows for the development of a more nuanced definition of what cinema has and will become. Launched just last month, Horn’s podcast takes its cue from KCRW’s “The Business,” a show that Horn actually contributed to regularly in the past. Unlike “The Business,” however, “The Frame” focuses on news rather than cultural analysis since it airs every weekday at 3:30pm PST. Horn does more than just regurgitate daily developments from across the industry; rather, he consults with experts on the issue at hand, interviewing them about possible ramifications. In the wake of the publication of the final edition of Maltin’s world famous movie guide — a print publication that he updated yearly since 1969 — the beloved film critic, who also maintains a blog on the Indiewire network, has teamed up with Wolfpop and launched the podcast “Maltin on Movies.” Having written about film for almost a half-century, Maltin is brimming with insight into the intricacies of the film industry and the craft as a whole. Unlike the movie guide, however, the podcast offers Maltin the opportunity to reach out to the next generation of filmmakers, who continue to mine the history of film for inspiration and guidance. Moreover, Maltin’s co-host, Vaughn, in a way, represents the point-of-view of this new generation. White and St. Mary’s podcast doesn’t cover time-sensitive material the way that “The Business,” “The Frame” and even “Screen Talk” does; a practice that not only produces evergreen content, but also, can be described as an alternative form of film scholarship. Each week, “The Projection Booth” engages in a sophisticated conversation about a cult film pulled from the annals of forgotten film history by co-hosts White and St. Mary, who are also usually joined by guests with a unique relationship to the film being discussed. The conversations on “The Projection Booth” usually center on the film’s production history, as well as it’s relationship to audiences at the time of its release and into the present. Archival clips of sound from film and other sources provide an eerie, yet alluring backdrop. The historical focus of the series affords listeners a certain degree of flexibility with their listening schedule. Listeners can work through the episodes from the beginning, at their own pace. They can further enrich their experience by watch the films that are being discussed before or after listening to each episode. “Scriptnotes” is advice on film writing and the industry at large, coming straight from the lion’s mouth. August and Mazin have been working in the industry since the late 1990s, so even though they have quite a few credits to their names, they still have long careers ahead of them. On “The Treatment,” Mitchell interviews a vast array of fascinating creative professionals working in film, television, music and/or art. The most interesting person to appear on the show, however, is perhaps Mitchell himself — a serious scholar of film history and popular culture. Longworth’s “You Must Remember This” is a quasi-romantic exploration of the lost histories of Hollywood; events and people that have been misrepresented or perhaps even entirely disregarded by the prevailing Tinseltown mythology, spun throughout various history books. At its core, however, “You Must Remember This” is a study of narrative and the various points at which truth, lies and point-of-view collide.